I have no doubt Trump said this to Paul. Trump is the guy who listens to the last person he’s spoken with. Want your agenda enacted? Make sure you’re his last meeting of the day. Of course, with Trump, tomorrow’s meetings change everything, but that will only work for so long. Eventually he will have to pick a policy and stick with it. And those days are arriving quickly. His daily tweets show us how fickle his thought process is, and how easily a tweet can change it. He’s the Tweeter in Chief. It’s like a John Scalzi novel. Look, I like Twitter. I don’t tweet much. I follow a diverse group of interesting people and use it mainly to read linked articles I would missed otherwise. Some people are absolutely brilliant in 140 characters or less – that’s not me! It’s not Trump either. Trump doesn’t use Twitter to learn new things. He uses it to score points against his “enemies”, say how great he is, and search his name to see what people are saying about him. It’s a vanity project. Rand Paul realizes that, to Donald Trump, tweets hold more sway that National Security Briefings. Paul knows that if he tweets it, Trump will read it and be influenced. 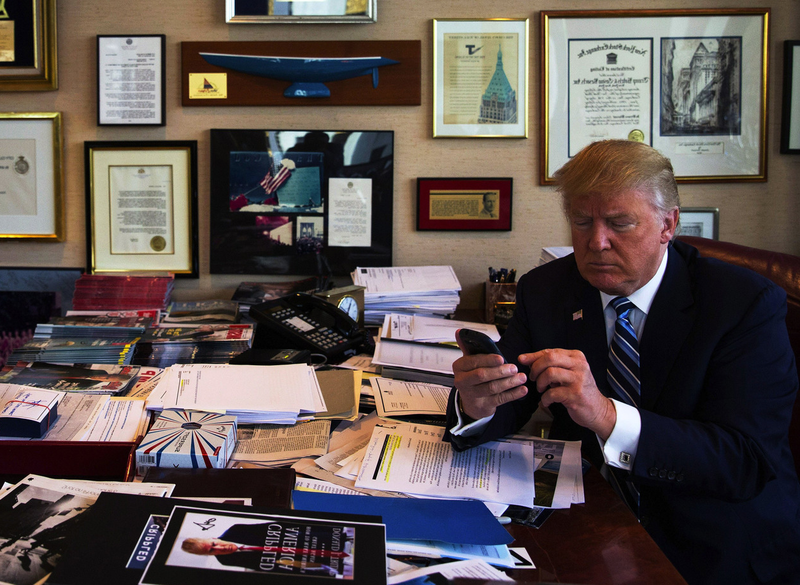 Trump feeds off Twitter attention while it manipulates him into responding. “Baited by a tweet” indeed. I’ll leave you with these Trump tweets. And there you have it. Insults, insecurity and ego in 3 tweets. How very precedential.